Here is a cozy drink recipe from the Well-Fed Women Podcast! 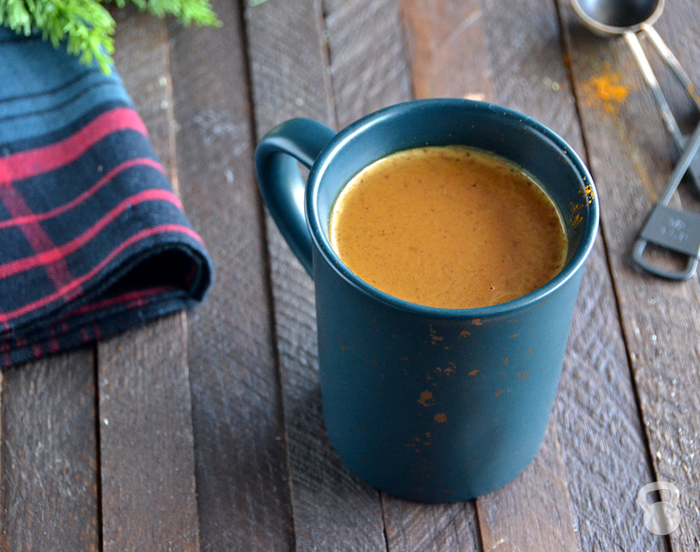 To welcome in the winter months, why not curl up on the couch with a warm cup of Turmeric Hot Chocolate? This drink has the perfect blend of warming spices and rich cocoa, and can be made from scratch in minutes. Not only is it creamy and delicious,the addition of the turmeric gives it powerful anti-inflammatory properties. Recently, turmeric has become much more popular in the Western world because it contains bio active compounds with medicinal properties. The most beneficial of these compounds is called curcumin, which has anti-inflammatory and antioxidant properties. Studies show curcumin may reduce heart disease and help prevent debilitating diseases such as cancer and Alzheimer’s. It also can help with digestion, arthritis, and joint pain. In fact, curcumin is so powerful that it matches the effectiveness of some anti-inflammatory drugs. Yes, this means you can sip on a tasty cup of hot chocolate, and fight inflammation at the same time.What a multi-tasker you are! Place a small saucepan over medium heat and add the coconut milk. Once the coconut milk begins to simmer, remove from the heat and add the remaining ingredients. Whisk everything together in the pan until smooth. Pour the drink into a mug and serve warm. Swap the nutmeg for a pinch of cayenne pepper if you like a spicy kick!